Enjoy these fresh, garden Pickled Tomatoes & Cucumbers preserving Russian-style. Cherry Leaf adds original flavor and crispness. Tomatoes & Cucumbers are superfood in terms of health, beauty and youth. These are tasty vegetables, which are an essential part of menu for majority of people. Thanks to their's well-balanced chemistry, these vegetables help to fight excessive weight, stay in good shape and positive mood as well as prevent likelihood of development of certain diseases. Russian Pickled Tomatoes are great for storing for the winter. These pickles have significant health benefits: they enhance the vitamin and enzyme content of vegetables being pickled as well as improve the digestibility of the food you eat along with it! It makes them perfect for holiday meals when you eat a lot of heavy food. 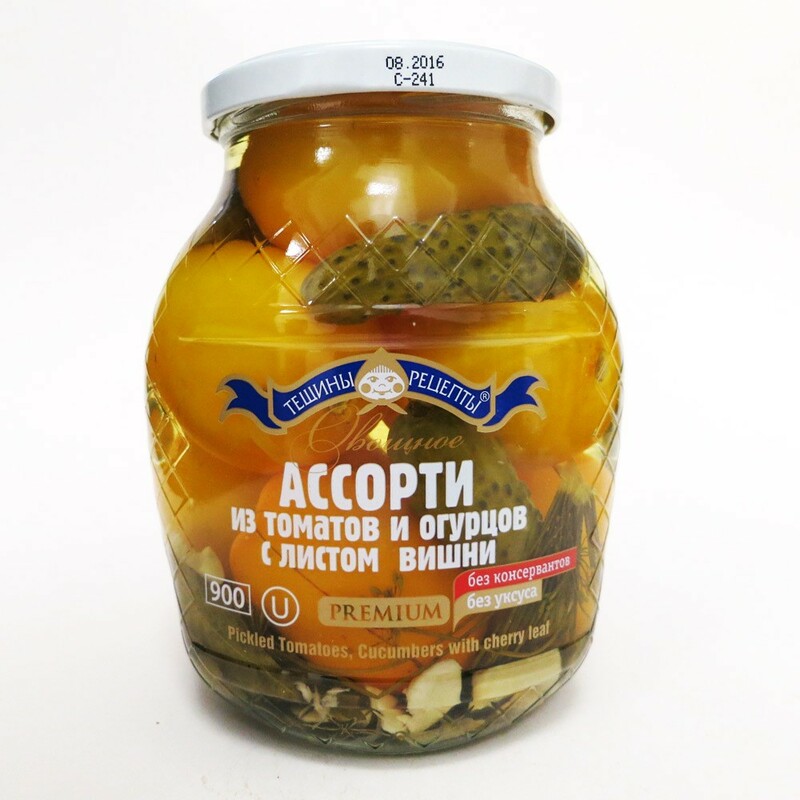 Russian Pickled Tomatoes & Cucumbers are perfect to eat with Plov, and even mashed or fried potatoes or just by themselves. It’s a staple in every Russian house.